Rome and Florence are two of Italy's top cities and travelers often visit both cities on the same trip. This information will help you easily get between these two cities. Florence is 173 miles north of Rome. Frequent trains run directly between Rome Termini Station and Florence Santa Maria Novella Station (the main train stations for each city). Some frecce and regional trains also leave from Roma Tiburtina station. You can check current Rome to Florence schedules and ticket prices on the Trenitalia website. However, people in the U.S. may find it easier and more convenient to buy tickets on raileurope.com. Frecce trains are the fastest and most expensive, making the trip from Rome to Florence as short as one hour and thirty-one minutes. You'll need to reserve a seat on these trains. Less expensive regional trains take two to four hours and do not have reserved seats. Trains leave from early morning until about 9 PM, with several train choices per hour. 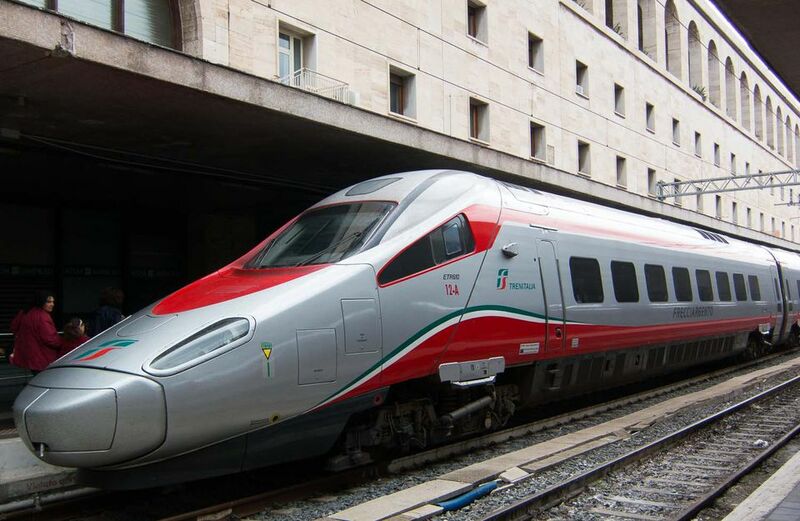 Italy's private high-speed rail line, Italo, also has fast trains between Rome's Ostiense and Tiburtina stations (not Termini) and Florence Santa Maria Novella Station. You can buy Italo train tickets in U.S. dollars online through Select Italy, too. Local buses connect the train station to other parts of Florence and the outskirts of the city. Florence's historic center and main sights are an easy walk from the train station. Although you don't need a car in Florence (and can't drive into the historic center), you may want to explore Tuscany by car. The A1 Autostrada (toll road) connects Rome to Florence. Car rentals are available in Florence if you prefer to take the train and pick up a car there later. Florence has an airport with flights from other Italian cities, Europe, and Great Britain. The airport is fairly close to town and connected to the train station by bus.